Unusual Cruise Destinations - Spice Up Your Travels! 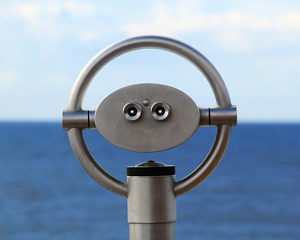 Cruise lovers, have you been wishing for some more unusual cruise destinations to spice up your travels? Or have you been wishing that you could get to some of your bucket-list, must-visit locales without giving up the comfort, luxury, and convenience of a cruise vacation? We’ve got good news for you. Major cruise lines have been expanding their routes and adding ships in exotic ports. Today we’ll explore some places you might not have known you can visit on a cruise, and look at the passport and visa requirements you’ll need to enter. Have you been dreaming of visiting North Africa ever since you first watched Casablanca as a kid? Morocco’s glamorous history, elaborate architecture, and famous shopping bazaars make it an enticing destination to travelers, but those crowded alleys and hustling salespeople that make the souks and medinas so exciting can also be daunting to many travelers. Visiting Tangier with a cruise makes the city easy to access. After a day of dust and bustle in the ancient city, you can return to your ship and enjoy a relaxed dinner and a well-earned glass of wine! Cruise Line to Consider: Costa. As an Italian cruise company, Costa excels in Mediterranean cruises. Two of Costa’s ships have itineraries that include Tangier – the Magica and the smaller, more intimate neoRiviera. They’re a great choice for cruisers looking for an affordable option and who enjoy a lively, international environment aboard ship. Passport and Visa Requirements for US Citizens: Your US passport must be valid at the time of entry to Morocco, and you’ll need at least one blank page marked “Visas.” US citizens can stay in Morocco without a visa for up to 90 days. Once Russia’s Imperial capital, St. Petersburg remains the jewel of Russian cities. The Hermitage palace that once housed Catherine the Great is now one of the world’s great museums. It’s a must-see for any art lover. The opulent decorations of the rooms rival the beauty of the treasures they hold! Particularly famous is the Amber Room, a chamber entirely fitted with wall panels made of amber backed with gold leaf. Cruise Line to Consider: Holland America. Holland America cruises are a great fit for travelers who want a civilized, classic cruise experience. St. Petersburg is a port of call for two of Holland America’s vessels, the Rotterdam and the Zuiderdam. 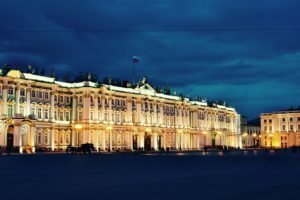 You can visit St. Petersburg as part of a cruise of Western Europe, or on a Baltic cruise, or as a stop on a cruise of Northern Europe and the Norwegian Fjords. You can even get to St. Petesburg on a 28-day Holland America cruise that departs from Fort Lauderdale, Florida! Straddling the Bosporus at the intersection of Europe and Asia, Istanbul is the world’s only city that is in two continents at once. Istanbul, formerly known as Constantinople, has a fascinating history stretching back more than 2,000 years. Simultaneously European and Asian, cosmopolitan and traditional, Istanbul is a vibrant city full of modern amenities and historical sites. Not to be missed is the Blue Mosque, once the Hagia Sophia, which is considered to be one of the most magnificent religious shrines in the world. Cruise Line to Consider: Princess. 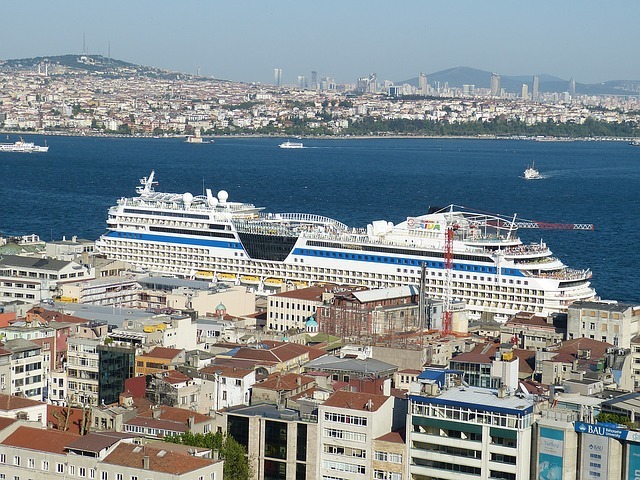 The smallest ship in the Princess line, the Pacific Princess, visits Istanbul on Mediterranean itineraries including Italy, Greece, and Croatia. The Princess Cruise line is known for their stellar service, and the small size of the Pacific Princess allows for the crew to give personal attention to each guest. Passport and Visa Requirements for US Citizens: In addition to your US passport valid for at least six months past your entry to Turkey, you’ll also need to have an eVisa issued online before you travel. Make sure you have at least one blank page in your passport for your Turkey entry and exit stamps. Shanghai is China’s largest city — by population, at least — and is the nation’s commercial capital. Once a tiny fishing village, Shanghai now is lined by modern skyscrapers and shopping malls filled with designer stores. However, traditional China lives on in Shanghai. You can still discover ancient temples and witness traditions that stretch back thousands of years. 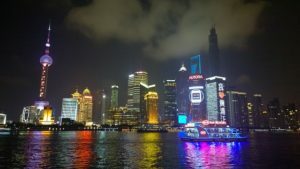 There’s so much to explore in Shanghai that many cruise operators offer land extensions that allow you to spend several days experiencing all the city has to offer. Cruise Line to Consider: Norwegian. The Norwegian Cruise Line excels at offering innovative dining and entertainment options, making them a good choice for a long voyage. On their Norwegian Jewel, you can visit Shanghai on one of three Asian and Pacific itineraries, ranging from 11 to 40 days. Passport and Visa Requirements for US Citizens: You’ll need to have a valid US passport book with two blank pages and at least six months left before it expires. To enter China, you will also need to have a Chinese visa issued before you depart the United States. US citizens are typically issued multiple entry visas valid for 10 years, so if you fall in love with China, you can go back! Do you need more penguins in your life? If you’re looking for the queen of the world’s most unusual cruise destinations, look south. Way south. A cruise to Antarctica is as unique as it gets! You’ll be able to see landscapes unlike anything else in the world, and view wildlife in their natural habitats. 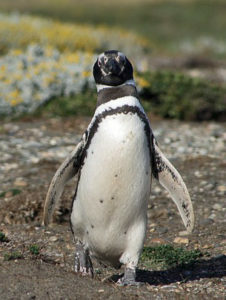 Most cruises to Antarctica begin at a port in either Chile or Argentina, and make several ports of call in South America. Ushuaia, Argentina — often called the Southernmost City in the World — is typically the jumping-off point for a cruise of Antarctic waters. Cruise Line to Consider: Silversea. Although a number of major cruise lines like Crystal and Celebrity have Antarctic cruises on their large, luxurious vessels, we think that Antarctic itineraries are ideally suited to smaller ships like Silversea’s Silver Explorer. The smaller ship allows you to get up close and personal with the landscapes and wildlife, and is capable of accessing smaller ports like South Georgia Island. Passport and Visa Requirements for US Citizens: Antarctica isn’t a country, so there are no specific passport requirements! However, both Argentina and Chile require that your US passport book be valid for the full duration of your trip, and you’ll need to have one blank visa page for each country you will visit. You won’t need to have a visa for either Chile or Argentina, but if you also will visit Brazil on your Southern Hemisphere adventure, you will need to get a Brazil tourist visa before you depart the US. Have you visited any of these unusual cruise destinations? Tell us about your experience in the comments!